Three transgender actors step out onto a stage. They want you to listen. To tell you how it is. How it is in 2018. When everyone else has an opinion. Hear their truth. Humanequin – a play about gender, identity and finding your family in the unlikeliest of places. With director Jain Boon and writer Kelly Jones, the actors worked alongside members of TransForm Cymru and students from Radyr Comprehensive school to devise Humanequin. They shared their common and individual stories and experiences to create a performance which educates, challenges and provokes conversation about what it means to be trans in 2018. Humanequin began life as a Community Action Project we ran with Youth Cymru as part of our Big Lottery Funded Dream On programme. 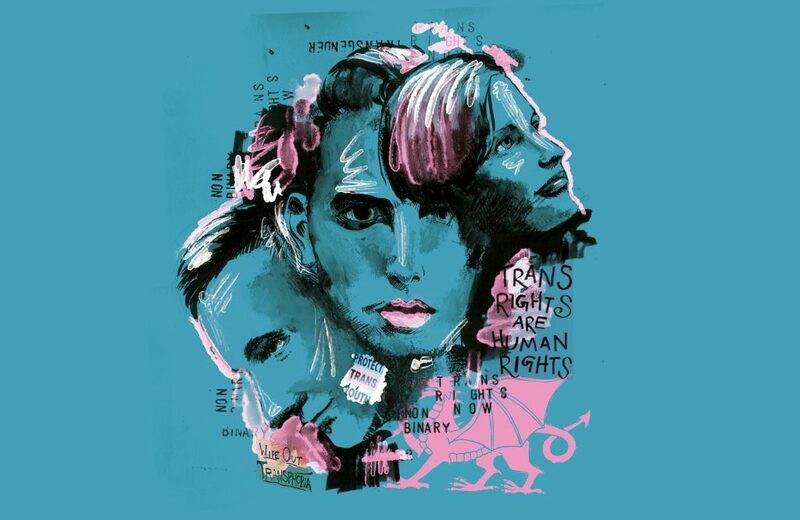 We worked with their TransForm group of trans young people to create a performance and film dispelling myths and misconceptions about gender variance and encouraging a conversation around gender identity. With funding from Arts Council Wales Creative Collaborations, ISD and Wales Millennium Centre we’re bringing it to the Weston Studio. Performances on Wednesday, Friday and Saturday are in a double bill with Milk Presents…Bullish. See Wales Millennium Centre for ticket pricing.